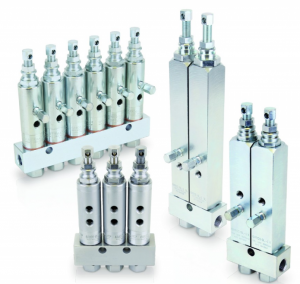 MotionSource offers Graco oil and grease injectors, high-performance injectors for automatic machine lubrication. Oil and Grease injectors manufactured with a one-piece machined body, they provide exceptional durability and a longer lasting seal design for trouble-free performance. Both injectors are precision-honed components for reliable operation in the most challenging environments, they are workhorses. 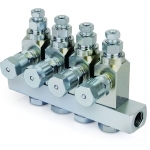 Offered both as a stand-alone injectors and replacement injectors for manifold systems, allowing you to custom fit the injectors to your applications. 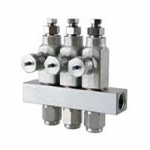 Oil and grease injectors are available in both carbon steel and stainless steel to suit your application. Graco injectors perform your lubrication automatically and minimize downtime and maintenance costs. 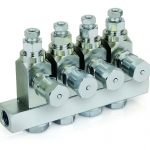 Our oil and grease injectors and injector systems are IN STOCK and easy to design, fast to set up and allow you to add or subtract lube points without having to redesign your lubrication system. Oil and grease injectors are IN STOCK at MotionSource. Why wait on an 10-12-week lead time from the competition when MotionSource has your injector in stock, ready to ship today. 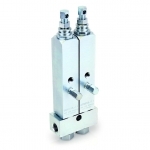 Call us at 888-963-6686, email us Sales@MotionSource1.com or use the “Quick Quote” form to the right. Click on the picture of any of the injectors for more information. Need help with design, service or installation of your oil or grease injector based system? With highly-trained technicians available 24/7 for field installations and a support and engineering team with over 150+ aggregate years of fluid power experience, MotionSource has earned a reputation as a trusted partner and the premier source for oil and grease injectors. If you just need technical help, give us a call 888-963-6686. All of our customer support team is Graco trained as well. 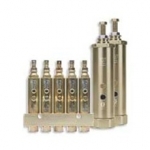 MotionSource is your Source for you injectors!